Home · Property Management · Latest News : Pests With Civil Rights — Now That’s Scary! Pests With Civil Rights — Now That’s Scary! If you think the summer’s proliferation of spiders, mosquitoes and wasps was troubling, wait until you’re facing down an even spookier pest — rabid bats. Tenants across the country have reported seeing thousands of bats in crevices and holes around the outside of rental properties. 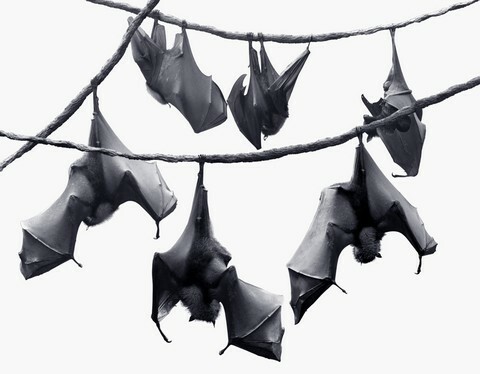 Bats seek dry, warm spots where they can sleep during the day. If your building is full of such nooks and crannies, it could soon become full of these frightening pests. In one recent case, a tenant was forced to undergo precautionary shots to avoid potential rabies. In another bat-infested apartment community, the manager reportedly tried to flush them out on his own, which forced them even deeper into the building. Panicked residents resorted to calling a local news hotline for help, and now the property is notorious. When yet another apartment manager tried unsuccessfully to remove bats himself, it landed him a lawsuit from an angry parent. One of the bats nesting in the building flew into the apartment and bit a small child, causing a serious injury. These outbreaks have been especially problematic in new developments built near natural habitats. Bats looking for new places to roost wind up in rafters, attics, and even make their way inside apartments. Because tenants are drawn to properties with natural surroundings, there will be growing pressure on wild animals to seek new homes. Make sure your rental properties don’t provide a welcome roosting ground for these animals. Tenants are right to be concerned. 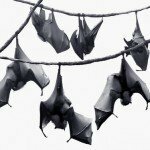 Bats carry diseases, so it is important to remove them safely and effectively. However, many species of bats are protected by law — some are even listed as endangered. That means they cannot be poisoned, or killed during removal. Finding all the holes in your roofing and framing is the first step to preventing conflicts between bats and tenants. If bats move in, avoid legal liability by calling in an expert. Experienced bat handlers often wait until the bats leave at night and install one way doors over the roost. That way, bats can leave but never return. Animal experts say that bats are not nearly as dangerous as most people believe. They are no more likely to carry rabies than any other wild animal, and it is not believed that they intentionally divebomb humans. In fact, these animals serve an important role in reducing insect populations. Get rid of the bats, and you have to deal with more mosquitoes, which also carry diseases. But landlords are in a tight spot when bats appear because, inevitably, tenants feel terrorized. Limit the places around your rentals where bats feel welcome, and you send a message that you are not running a haunted house — and wayward bats will need to find a cozy cave to call home.